A fossil of an ancestor of modern tropical birds has been found in North America, proving they also used to live in the Northern Hemisphere, say scientists at the Milner Centre for Evolution at the University of Bath. As many birdwatchers know, the largest number of bird species are found in the Southern Hemisphere, with many bird groups restricted to South America, Africa and Australasia – land masses that made up the ancient supercontinent of Gondwana. However, Dr Daniel Field at the Milner Centre for Evolution, and Dr Allison Hsiang from The Swedish Museum of Natural History have shown that an early representative of a modern group of African birds called turacos called North America home 52 million years ago. The Latin name for turacos translates to "banana eaters" — a nod to their fruit-eating lifestyles. Banana eaters are a group of around 24 species of brightly coloured medium-sized fruit-eating birds, found exclusively in Sub-Saharan Africa. The fossil was first discovered in 1982 and studied ten years later. However, only now has the fossil been firmly placed in its evolutionary context. The fossil skeleton not only shows that banana eaters formerly resided well outside of their present geographic range, but also that early banana eaters had long legs, suggesting they may have been ground dwelling. 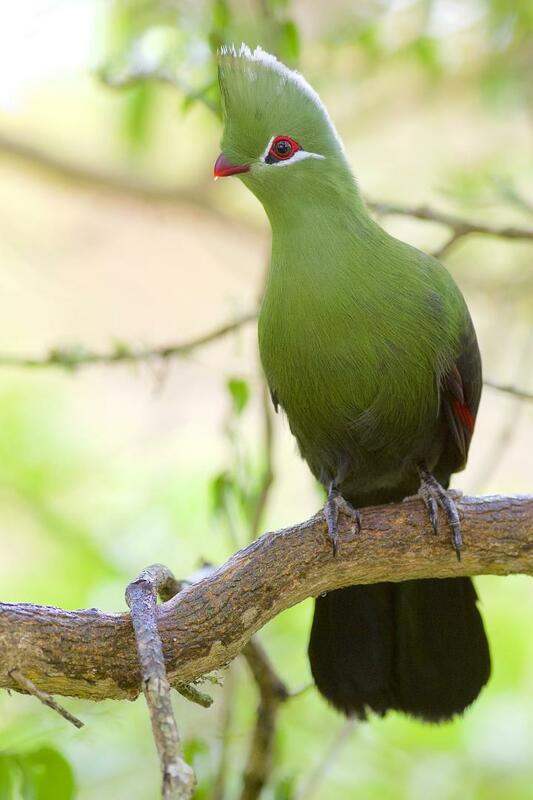 Dr Daniel Field explained: "All the modern turacos live in trees and have relatively short legs suited for perching on branches. "The fact that their ancestors had long legs indicates they most likely lived on the ground, suggesting that turacos may have moved into the trees much later." This finding ties in with Dr Field's recent research into how birds transitioned to tree dwelling following the asteroid strike that killed the giant dinosaurs 66 million years ago. Field and Hsiang, publishing their findings in the journal BMC Evolutionary Biology, used the fossil record and genetic data of modern birds to trace the evolutionary tree of life for these birds. Dr Field added: "It's a really exciting time to be studying bird evolution. Modern techniques allow us to study 3D scans of fossils in great detail, and sequence large amounts of genetic data. "This fossil raises almost as many questions as it's answered – why are the modern descendants of these birds now restricted to the tropics when they were previously found in the Northern Hemisphere too? "We think changes in climate might be partly responsible for fluctuations in the distributions of these birds, but need to study this further."